Call Boat Owner Stuart 386-785-4582. 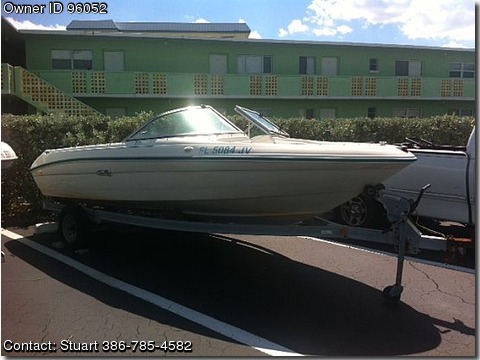 1987 Sea Ray 18 ft bow rider for sale. Engine was recently totally rebuilt and whole boat was detailed. Inboard outboard motor which is in excellent condition. Includes trailer, skis, and life vests.